This morning, head to Beijing’s symbolic heart, Tiananmen Square, and stroll into the sprawling magnificence of the Forbidden City. Entering through the Gate of Supreme Harmony, you will find a complex full of imperial riches. Explore Beijing’s old hutongs by rickshaw and visit the home of a local family. Eat traditional Peking duck for dinner and enjoy a Chinese acrobatic show. This morning is dedicated to China’s most iconic sight  the Great Wall. Taking a walk on this incredible structure is the best way to appreciate both the wall itself and the dramatic scenery that it crosses. Visit the Jade Factory then spend the afternoon strolling through the idyllic gardens of the Summer Palace as you wander through traditional Chinese landscapes and see the exquisite architecture. Begin today soaking up the harmonious ambience of the Temple of Heaven, an orderly oasis in a bustling urban landscape. Here, mingle with the locals and perhaps even join them as they start their day by practising Tai Chi, dancing and playing cards. Transfer to the airport and fly to the ancient city of Xian. This evening, enjoy a delicious feast of traditional Shui Jiao dumplings before a performance of Tang Dynasty dancing. After their fortuitous discovery in the 1970s, the Terracotta Army of China’s first Emperor, Qin Shi Huang, has intrigued visitors ever since. Spend the morning viewing the enigmatic ranks of life-sized warriors and horses who stand in their original formations at the exact location they were excavated. Also visit the workshop of the craftsmen who recreate the Terracotta Warriors in style of their ancient counterparts. Later, stroll along the beautifully preserved 14th Century ancient city walls that enclose Xian’s old town. Enjoy a relaxed morning with time to walk through the atmospheric alleys of the Muslim Quarter which are lined with food stalls. Here, you will gain an insight into the city’s fascinating culture and significance as the start of the Silk Road. Later, take a bullet train to Chengdu, capital of Sichuan Province. A visit this morning to Chengdu’s famous Panda Conservation Centre allows you to see and learn about China’s celebrated bears up close in surroundings that mirror their natural habitat. Later, stroll through People’s Park to see Matchmaker’s Corner, where parents search for suitors for their children. Drive from Chengdu to Chongqing and spend some time wandering the picturesque old alleyways of Ciqikou. Later, board your Yangtze cruise vessel and set sail for the next four days on the Yangtze River. Cruise down the Yangtze through some of Chinas most dramatic scenery. Over the next three days prepare for one breathtaking panorama after another. Take a side trip to the attractive Goddess or Shennong Stream and enjoy a shore excursion to the Jade Emperor Scenic Area or Shibaozhai. A man-made marvel, you will also see the Three Gorges Dam which showcases a massive feat of engineering. 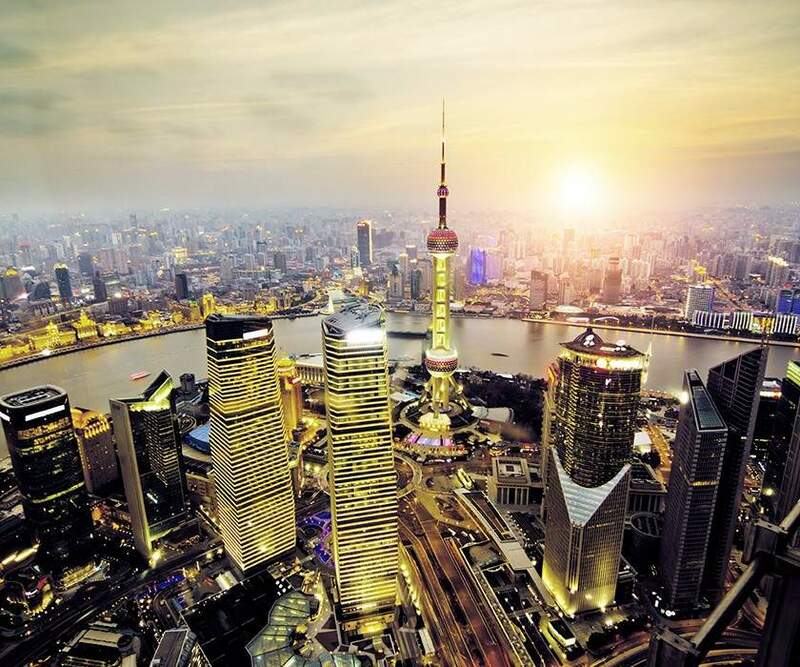 Disembark and travel to Wuhan for your flight to the exuberant and cosmopolitan city of Shanghai. Shanghai is China’s great metropolis, where east and west collide on streets lined with futuristic skyscrapers and 10th Century temples. Begin today with a visit to Yu Garden and the old town before admiring the magnificent colonial architecture with a stroll along the Bund. Learn about the age-old silk production process at the Silk Factory and take an optional trip on the super-fast Maglev train. This evening, view the city from the Huangpu River on a panoramic cruise and enjoy a delicious meal of traditional Shanghainese cuisine. Fly to Hong Kong. No other city in Asia encapsulates the concept of east-meets-west quite like Hong Kong. Known for its spectacular harbour and jaw dropping skyline, Hong Kong is a city that never sleeps! Embark on an island tour, starting with a delicious dim sum lunch. Visit Stanley Market and Aberdeen fishing village, where you take to the water and enjoy a sampan ride. Spend the day at Lantau Island. Start by taking a ride on the cable car which offers stunning views of the island’s breathtaking coastline to Ngong Ping Plateau, where the Giant Buddha sits majestically close to the Po Lin Monastery. After touring the Giant Buddha Exhibition Hall and the Po Lin Monastery, a vegetarian meal is served. Enjoy a farewell dinner atop Victoria Peak. Today is at leisure until your flight home. With over 260 outlying islands, choose to tour the New Territories, explore Kowloon or take a short hike on Lamma Island. Transfer to the airport for your flight to the UK, arriving home the same or following day.